Well there's your problem, you raved about $100 shoes being sold for $250+ I've taken a lot of heat for calling out how bad AE shoes are for years, shoes from the UK only. 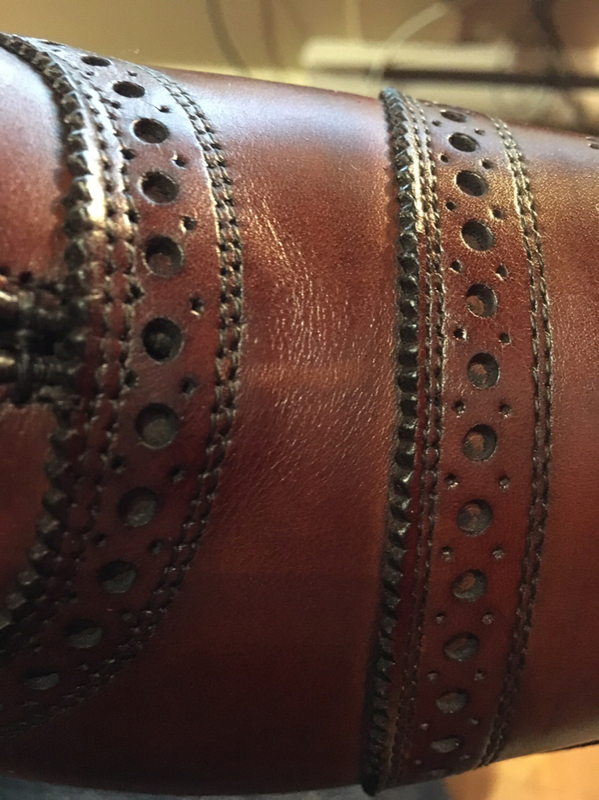 Stain would be seconds and the leather ripping at the stitching should be a replacement pair. Fortunately JCrew has super easy returns. Did you eventually end up with a proper pair? This is one of my favorite gripes. Yes... I have 12 or so pairs of AE's and I've only received two "1st's" that I would consider without flaws. 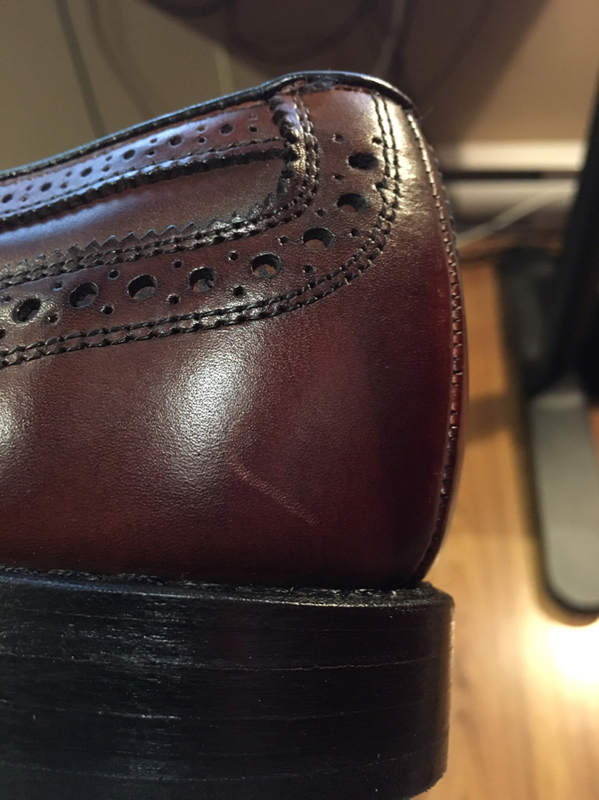 The VAST majority of the shoes I order from them arrive dinged, scuffed, poorly stitched in areas, inconsistent color in others. The customer service used to be better than it is now, but it is still good. Eventually, after as many as three exchanges, something eventually arrives that I can live with. I did entirely give up on a pair of Leidens after 4 exchanges, and took the refund. I believe that they let the customer do their QC, I do not believe that anyone gives anything more than a cursory glance at anything that goes out. All that said, they will replace items ad nauseam, or at least they used to. I have only had one exchange since the company changed hands. The process was, indeed worse. However, it was still tolerable. That return was for a different size. The new size arrived, and I just asked for a refund on the whole order, refund because the finishing was so bad. I later ordered that same pair from Nordstrom. It still shipped from the WI factory, but it showed up with a norstrom receipt, and I believe it had a different box. That pair still had a flaw, on the inside stitching, I kept them, but I hope that doesn't become an issue down the road. Now, the million dollar question: why do I continue to order from them. Simply put, it's because no other accessible company has this many goodyear shoes on a variety of lasts, in a variety of sizes. 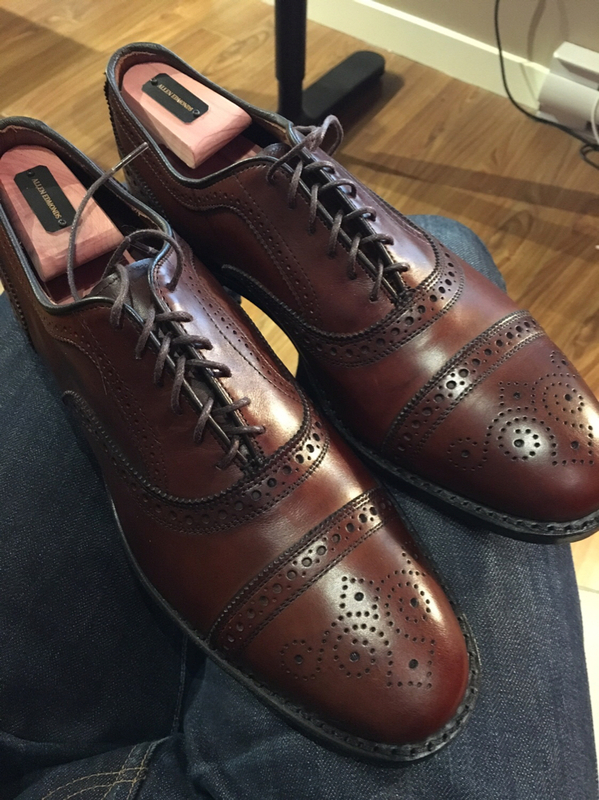 There are other companies out there at AE's price point that do make good shoes. However, returns and exchanges are often not as easy (despite AE getting worse), and/or they do not offer as many styles/shapes. This being said, they seem to be moving away from that business model. I have been, in turn, moving away from them. The vast majority of seconds I've handled (20+) have had relatively minor imperfections that in no way affected wearability. I've also recieved firsts that fit great but had a scuffing or creasing, in those cases they offered me a refund to get those shoes down to their seconds price. I was happy with that. If someone can point me to a shoe maker who consistently produces shoes in a narrow width that can be picked up for $100-200 (seconds) I'll try them out. Until then, I'm "stuck' with AE. You both make good points in regard to continuing to do business with them. My work colleague recently had to go through three exchanges to get a pair of "interview" shoes for his son who is finishing college. But his son wears a EEE. The small companies that make great shoes aren't usually offering EEE sizes. Or they are very limited. But it seems crazy to me to have a business model where you are using great materials, but are assembling those materials in a slip-shod way. Why not use a lower quality of leather and spend a bit more time in the production? I would say that my one pair of Jack Erwins seem put together as well as AE shoes, but the leather is not quite as nice. I can live with that. My friend's two pairs of Meermins are similar; put together without defects, but with a bit lower quality leather. Well nuts--why does this bother me so much? I have a client meeting in 20 minutes and it looks like they are being threatened with a multi-million dollar breach of contract lawsuit. Why am I so worried about shoes? You all have a lot more patience than me the reason I've stayed away from AEs for now is the number of people indicating it takes a couple (or more) returns to get it right. I'd hate to waste my time that way when spending that kind of money. Maybe we could get a discounted rate for group therapy! I have purchased several pairs and haven’t had issues with mine. Besides my "creaky" McAllisters, I've had pretty good luck. The noise from those McAllisters seems to be going away as they get worn.